Acrid smoke rises over the sweeping plains of Erehwon, mighty armies assembling to join the swirling vortex of war. 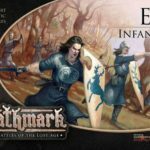 The Warlords of Erehwon are on the march! 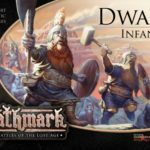 Our first foray into the world of fantasy skirmish gaming launched last Friday. 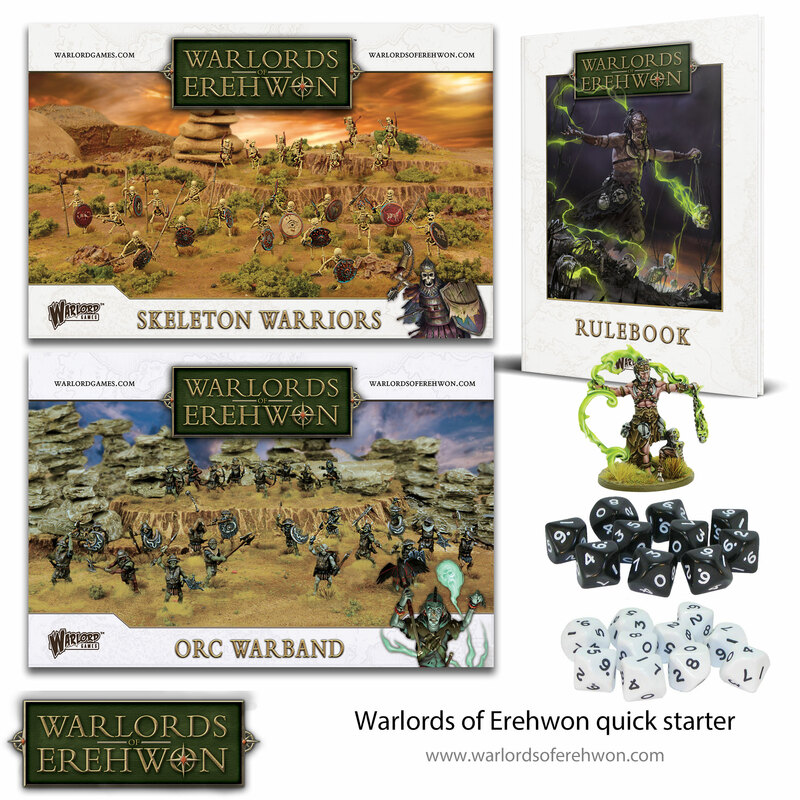 Written by Rick Priestley, Warlords of Erehwon is an expansive fantasy system that aims to give players a reason to dust off their old models and get some truly fun games in. 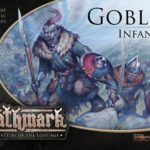 The battles are pitched at the warband level – landing somewhere in between a mass battle game of huge armies arrayed in serried ranks and a small skirmish game involving a band of intrepid adventurers. Based on the best-selling Beyond the Gates of Antares system, with a few additions from the award-winning Bolt Action system, the game feels very familiar to veteran wargamers, while remaining accessible for new players! Large +1 to hit shooting. Can draw LOS to body. Can draw LOS to or from over nonlarge models. Attacks The Giant has 5x Hand-to-Hand Attacks at Strike Value 5. Dread -1 to hit shooting/close combat. -1 to break test if defeated by the dreaded enemy. Dread units are immune to dread. automatically destroyed. A routing unit within 5″ is automatically destroyed. Terrifying units and units with the Crazed Psychotic or Undead rules are immune to terror. Blundering Cannot sprint. Must test Agility for a run. Crosses obstacles as chariot/artillery. Large makes the Giant much easier to hit, and allows enemy units to draw a line of sight to its colossal body, over the top of smaller units. It has 3 Monstrosity Dice, meaning that the controlling player places 3 order dice in the bag at the start of the game – giving the Giant the potential to act 3 times in a turn! It can make five hand to hand attacks in close combat and reduces its opponent’s resistance by 5. The Dread special rule makes it harder to hit at range and in close combat and imposes a penalty to break tests if it routs a unit in close combat. Terror prevents nearby units from removing pins and automatically destroys nearby units if they break and run. Blundering reduces the Giant’s mobility, forcing agility tests for crossing difficult terrain and making it move like a chariot or war machine when crossing obstacles. Rick has pulled out all the stops to make each unit unique in some way, with special rules to reflect their character or behaviour on the battlefield. As you can see from the Giant, games of Erehwon are going to be packed with dramatic moments as these units take the field. We’ve released the Children of the Hydra’s Teeth and Azbad’s Horde – two massive warband sets that come with an exclusive metal miniature, more than enough to start your Skelton and Orc armies. 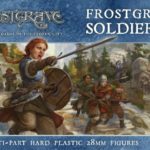 In addition to our new releases, we’re distributing North Star’s fantastic Frostgrave and Oathmark ranges. 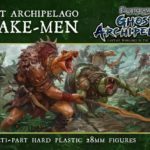 These plastic kits are crammed full of characterful miniatures which give you troops for warbands of various types – including the Barbarians, Dwarves, Elves, Gnolls, Orcs and Undead… perfect for Erewhon too! We’ll be adding new army lists to our website throughout the year, filling in all the gaps and giving you more and more opportunities to use your existing collection of models. If you’re unsure where to begin your quest into the worlds of Erehwon, grabbing our quick-start bundle will give you models for two small warbands along with the rulebook, dice and gorgeous exclusive miniature – the perfect necromancer for your undead warband. The post Frontline Report: Warlords of Erehwon Launches! 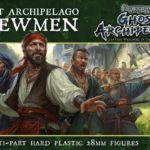 appeared first on Warlord Games.